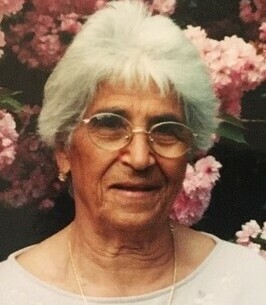 Westerly – Maria (Giardino) Gabrielle, 92, of Westerly, RI, peacefully entered into the Lord’s embrace on Monday, November 12, 2018. Born in Acri, Cosenza, Italy, she was the daughter of the late Luigi and Angelina Giardino and the wife of the late Frederico Gabrielle. Maria was a devout Catholic who loved taking walks, going to the beach and playing Bingo with her friends at the Pace Adult Center. 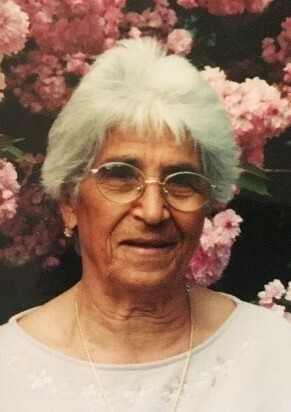 She was a loving mother who was always on the go, enjoyed visiting friends and was happiest surrounded by her family, sharing homemade Italian food and wine. She is survived by her sisters, Grazia Ferraro and Elena Gaccione of Pawcatuck, CT and Assunta DeBartolo of Westerly, RI and stepdaughter Sister Mary Angelus of Warwick, RI. She was predeceased by brothers, Salvatore and Carmine Giardino; sisters, Annina Fiori, Rosina Giardino, and Giusapella Ferraro; daughter Joyce Ruggiero; step children Fred Gabrielle, Eleanor Capizzano and Christine Esposito; and granddaughter Ann Marie Mann. She lives on in her four children: Anna Mann and husband, Joe; Angelina Gingerella and husband, Neil; Rita Pellegrino and husband, Joe; and David Gabrielle and wife, Anne. She leaves behind her beloved ten grandchildren: Alfred, Angela, Kim, Joe, Andrew, Jessica, Jillian, Mark, Michael and Lia and ten great grandchildren: Ryan, Ben, Austin, Dylan, Sienna, Capri, Noah, Natalie, Andrew, and Thomas as well as many nieces and nephews. To plant a tree in memory of Maria Gabrielle (Giardino), please visit our Heartfelt Sympathies Store. My condolences to the family and all who loved Maria. It’s so hard to lose someone we love, but the seeming finality of death is what makes it especially difficult. We can have confidence that God yearns to bring back to life the dead who are preserved in his memory. (Job 14:14,15) His Word, the Bible, gives us a wonderful hope of living in a paradise on earth and seeing the resurrection of our dead loved ones. (Luke 23:43; John 5:28,29) May this bring you some comfort during this very difficult time. My deepest condolences to her family. It has been my pleasure to know her daughter Angie for 26+ years at Foxwoods. My prayers are with you all.